Curtains and drapes can filter light throughout the day and provide privacy for your home. They can also add style and sophistication to a space. 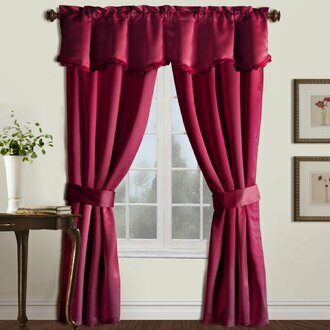 There is a distinct difference between curtains and drapes based on their formality and fabric. Drapes are formal, a heavier fabric, and more elaborate.Curtains are informal, made with lightweight materials, and often unlined and sheer.For drapes, the fabric is typically pleated at the top while curtains are gathered. When selecting a specific curtain style, the determining factors are your home decor and which room you choose to hang the curtains. With this in mind, we explain the five most common curtain styles, common curtain lengths, popular curtain patterns and features that will instantly transform your space from every day to extraordinary. Note: Certain kinds of curtain styles can be combined to work best for your home. 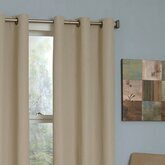 For example, a set of double panel curtains can also come with a valance and stacked curtains. 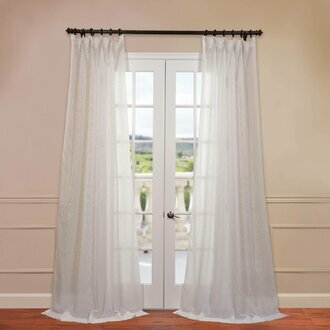 Read on for more information about each curtain style. Panel pair curtains, also known as double panel curtains, refer to two curtain panels hanging on either side of the window. This is the most common style. 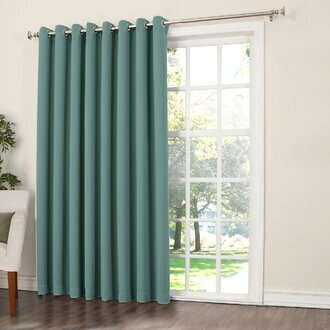 ​Lightweight fabrics are preferred for double panels, however double panel style curtains are also available in a wide variety of colors, patterns, and opaqueness. Panel pair curtains can also be used to frame and filter light around a set of doors (left). 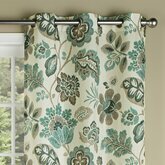 Often used to cover curtain hardware, a valance adds a decorative element to the top of window treatments. Valances are commonly paired to match the same styled curtain, but can be purchased and installed without curtains. An alternative to the valance is the window scarf. Just like the name implies, the window scarf is draped above the window or door from one side to the other. This gives a softer look than most valances. A layered floor-to-ceiling panel, stacked curtains give the option to include both heavy and light curtains. Pairing a decorative curtain panel with a sheer or blackout panel allows you to control the amount of light you want to let in or keep out. Stacked curtains will add depth to your windows. Start with sheer or lace curtains which add privacy but allow the most light to pass through. Then, add the curtain of your choice. Stacked curtains can be mixed with drapes, blinds, shades, and other window treatments, too. Lastly, use valances to add interest and complete the look. Stacked curtains are ideal for different seasons. The variety of light helps to control the hot temperatures in the summer and naturally warm the home in the winter. You can use one curtain panel as the entire window treatment. For a romantic look, sweep the curtain back to one side of the window or opt to leave it hanging for a casual feel. The benefit of buying single panels is that you can select the exact number of panels that you need. For very wide windows or windowed doors, you may need an odd number of panels to completely cover the space. Cafe curtains, hung at the window’s midpoint, lend a touch of visual interest to your space. They also provide a nice mix of privacy and light into your home. This style of curtains is often found in the kitchen or breakfast nooks, but is sometimes installed in bathrooms. This contemporary style of curtains lets in the most amount of light. 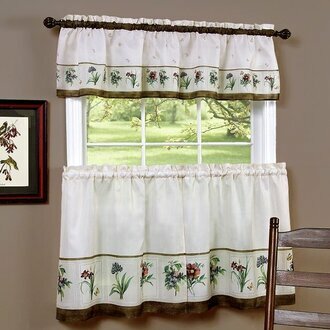 Cafe curtains can be paired with a matching valance like this floral pattern (left). ​Before purchasing curtains, measure the height of the windows in your home, including the top of the window to the location of the curtain rod. 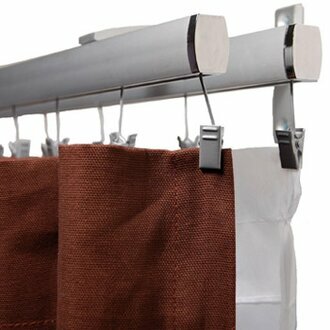 You should also take into account the size of the hardware; clip rings, curtain rings, built-in clips, or rod pockets. Curtain clip rings allow you to slightly change the length of the curtain. For long curtains, you should also measure the space from the floor to the bottom of the window, too. Brushing the floor: This length, which just touches the floor, is the best option for heavier fabrics like velvets and lined cotton. It will create a structural yet elegant look. Your curtains will brush the floor if the length matches or is just barely shy of the height from the floor to the curtain rod.Breaking the floor: The hem of the curtain carries an inch or two over the floor. Consider this length if you’re looking for a more relaxed style and softer look. Your curtains will break the floor if the length is a few inches longer than the height from the floor to the curtain rod.Pooling at the floor: Also known as “puddle length,” this romantic style allows the curtain to drape over the floor at two inches or more. Your curtains will pool at the floor if the length is more than two inches longer than the height from the floor to the curtain rod. If your window isn’t long enough for a full length curtain, and you do not want short curtains, consider hanging blinds or shades as an alternative. The width of the curtains should be at least double the width of the window. This will help the curtains fall and overlap naturally. 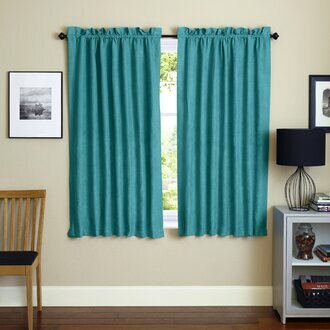 If you are purchasing a single curtain to tie on one side of a window, the width of the curtain should be one-and-a-half times the width of the window. ​Consider the design and mood of the room before buying curtains. The pattern and fabric choice can make the room more or less formal. Curtains are made of many different kinds of fabric. You can choose from dramatic and formal silk or velvet to casual cotton and linen. The more formal fabrics are typically dry-clean only, while cotton can be machine-washed. Solid curtains can either blend into the decor of a room or pop against the rest of the room. For solid curtains that blend with the room, choose a complementary or neutral color that is slightly darker than the wall color. For a modern or contemporary look, choose a vibrant color that is present in the decor for the curtains. Floral curtain patterns, including flowers, branches, leaves, and trees, add color and charm to your home. From vintage motifs to modern, oversized flowers, floral curtains will enhance the room. Geometric curtain patterns add structure to the room. 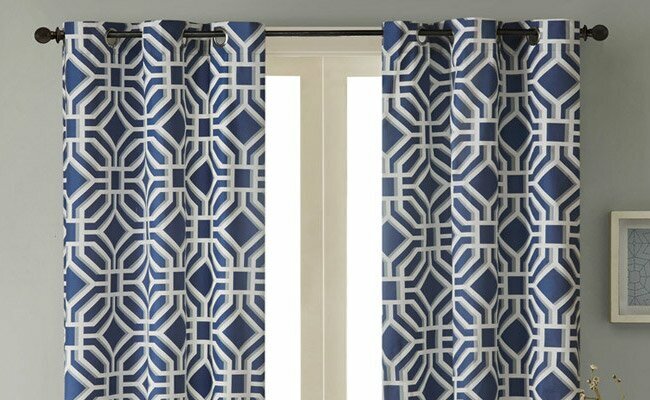 With trellis, geometric shapes, arabesque prints, and more to choose from, we suggest pairing geometric curtains with two other patterns in the room to add bold style without complicating the design. 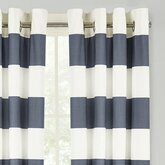 Another popular option for curtains is the stripe pattern. Striped curtains can take on very different styles: modern, nautical, traditional, and more—even glam! Stripes can be wide or narrow, and can cover the entire curtain or embellish one part of the curtain. Striped curtains are often seen in two colors, but are available in two or more colors as well. Vertical stripes make the window (and room) seem taller, while horizontal stripes can make the window seem wider. 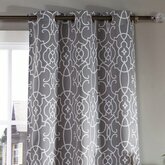 Damask-patterned curtains give a contemporary and polished look to windows. This elegant pattern can be monochromatic or multicolored, and has been used in curtains and other decor for centuries. Since the production of this pattern used to by solely done by hand, damask continues to be a symbol of elegance and sophistication. Graphic prints make a statement. 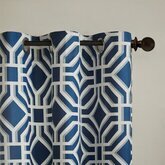 Graphic patterns on curtains offer an unexpected pop of color and style to any room. 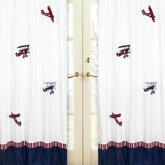 Ranging in themes from nautical to tropical and simple shapes to kid-friendly fun prints, you can have fun decorating with graphic printed curtains. We recommend these for kid rooms, bathrooms, and game rooms.